Thank you for visiting our website. Community Pharmacy is located at 1089 Elizabeth Ave., Elizabeth, New Jersey 07201. We are locally owned and independently operated by pharmacists who have combined years of experience in the pharmaceutical health field. 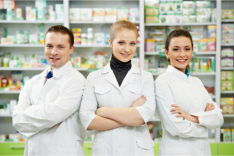 At Community Pharmacy, you will be greeted with warm and welcoming smiles from an accommodating staff who will not hesitate to help you with your pharmacy needs. We want to present to you our effort of offering convenient pharmacy products and medications in our store. Our store is always stocked so we are sure that you’ll always find what you are looking for. You are in the safe hands of our staff members who are carefully trained and up-to-date with the latest medical news and discoveries. Community Pharmacy invests in their employees by having them regularly trained and sent on seminars to ensure the best care for you. If you have any questions or concerns for us, please do not hesitate to call us at (908) 469-6363.